The Property Society, LLC, is a leading provider of commercial and residential real estate services, including brokerage, sales, property management, leasing, and maintenance for the greater Austin market. With over $100M in assets under management, years of expertise is delivered across multi-family assets, single-family homes, condominiums and two-to-four-unit complexes. 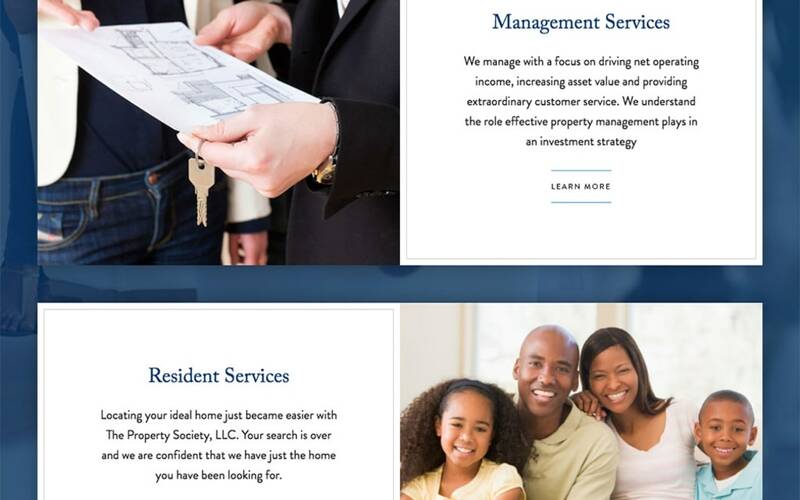 The Property Society’s former website was dated and was no longer representing the forward thinking real estate brand. Further the site was not optimized for mobile. Needing a complete redesign, White Lion was charged with creating a new visual identity that would separate the diverse capabilities and offering from others in the Austin market. The White Lion design team guided The Property Society team through the design process leading to the stand-out site experience. 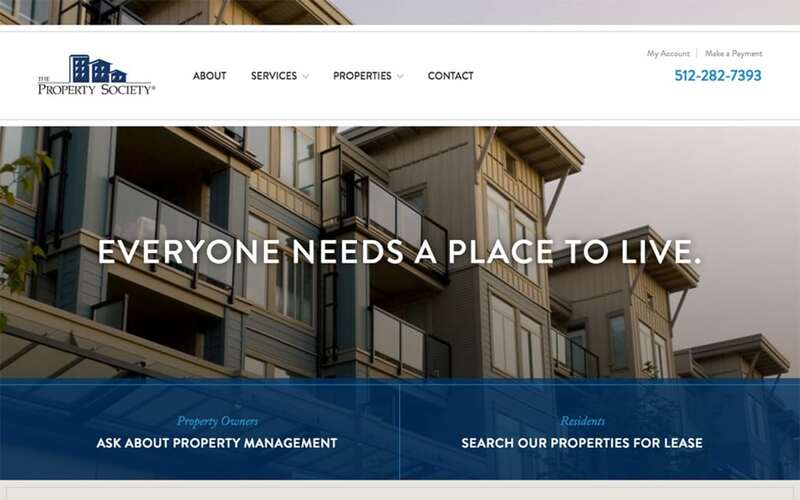 From a technology standpoint, The Property Society’s former site was built in a proprietary content management system and was difficult to update. 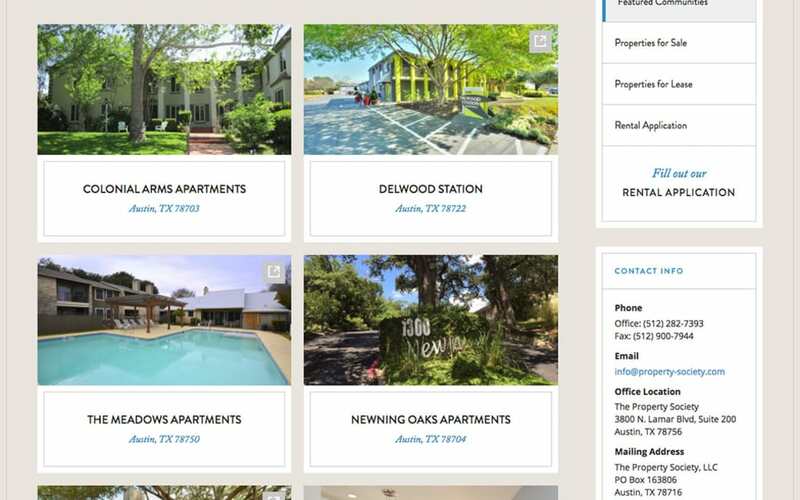 White Lion built the new site in WordPress allowing all major content areas to be administered directly by the client as new properties are listed or sold.